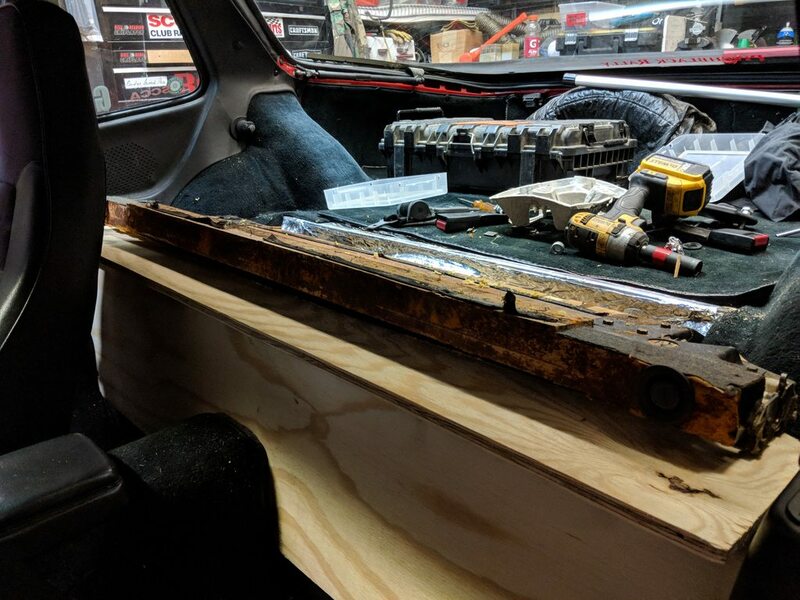 I know I'm not the first to do this of course, but anyhow here's my take on the "rear seat delete." 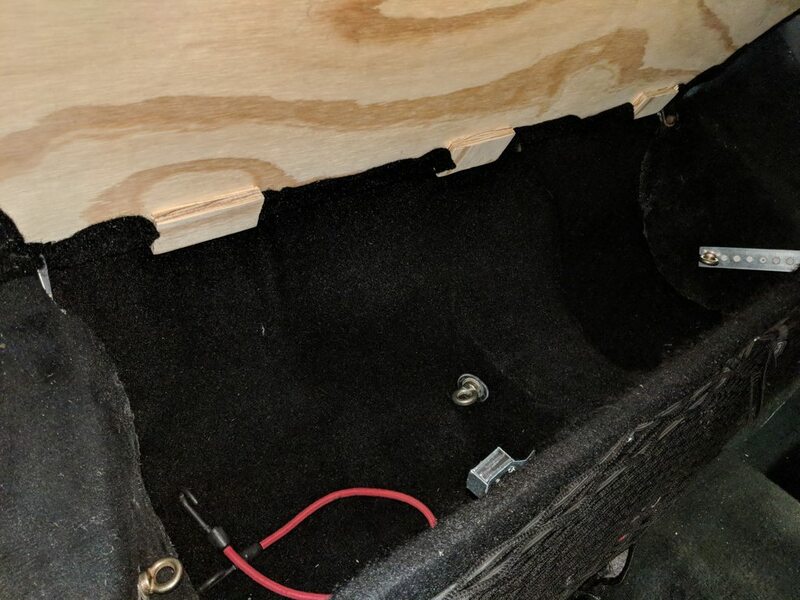 Since this is my road-trip car and not a track car, I decided to not just delete the rear seat, but to turn the whole area into a useful storage and gear area. 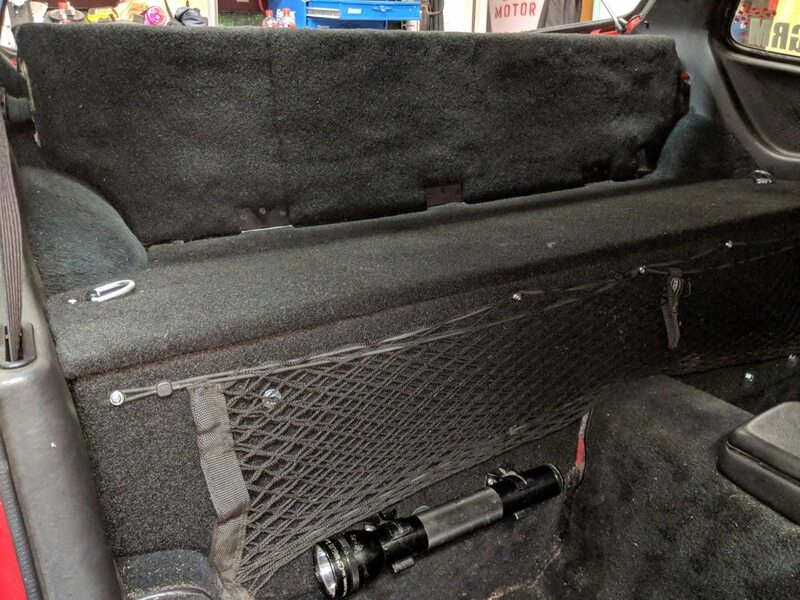 I removed the rear lower seat, and stripped the cushions off the seatback, which is the only part I am re-using since it's the easiest way to keep fold-down capability. Then made some cardboard mock-up pieces. 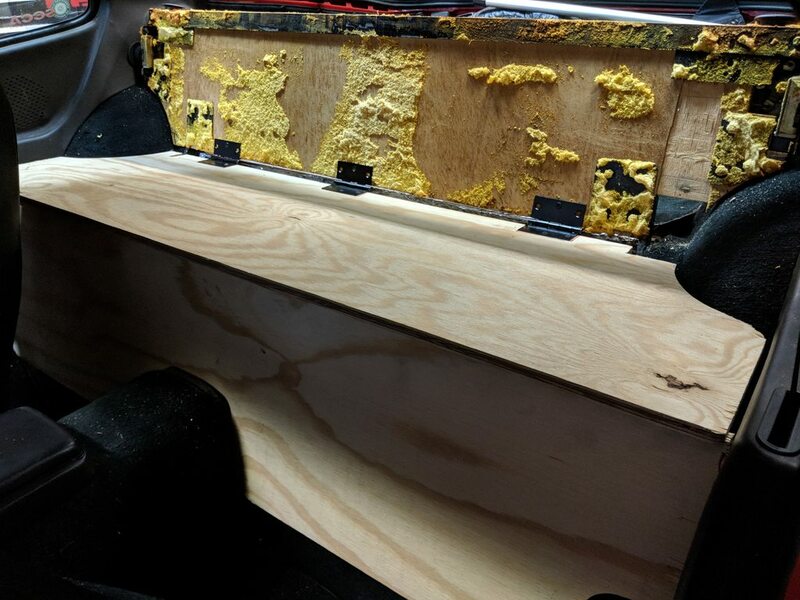 Then I cut some wood and made some brackets, using the seat belt bolts as the primary mount for the "front" piece as well as some aluminum angle pieces bolted to the front lip of the lower seat base. 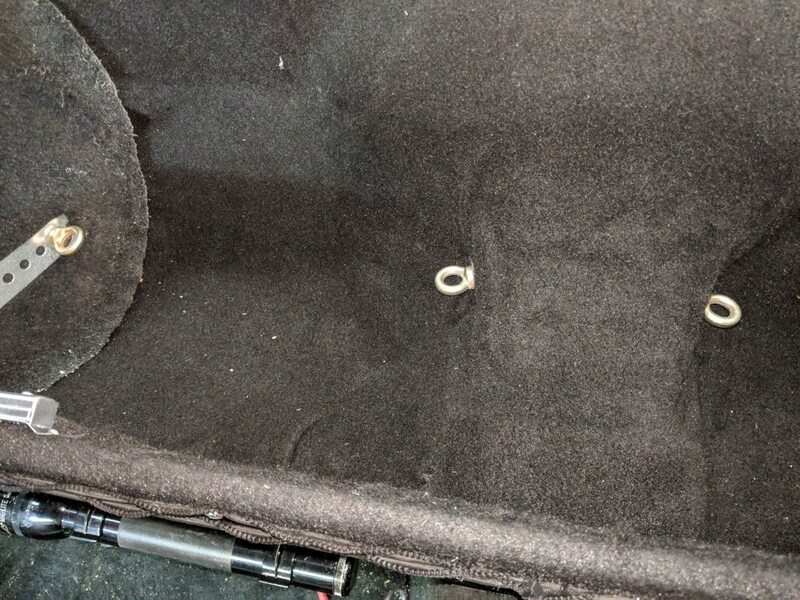 I got a $15 roll of cheap Amazon.com black unbacked carpet. It's not great, but it stretches pretty well and will hopefully hold up. if not, it wasn't expensive. 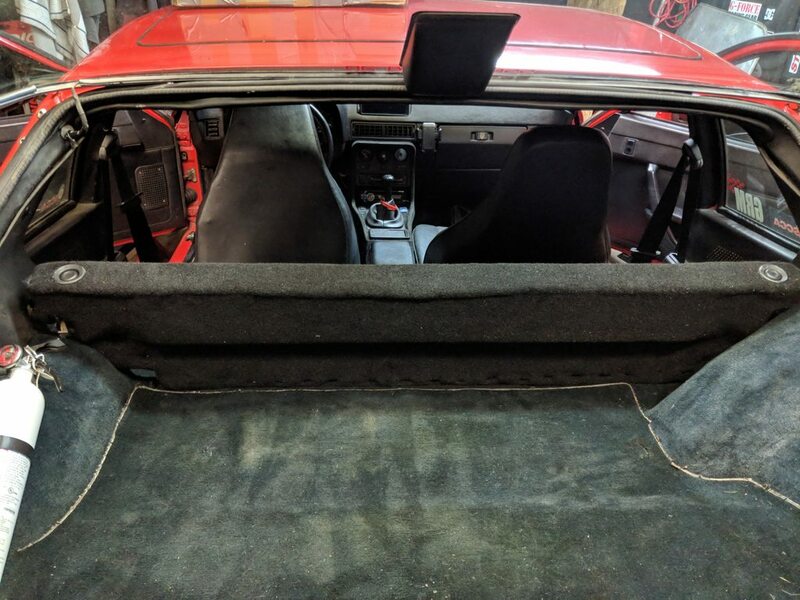 First carpeted the interior area, and used some old harness eyebolts I had sitting around to give me tiedown points for gear, water/fluid jugs, or whatever I put in there. 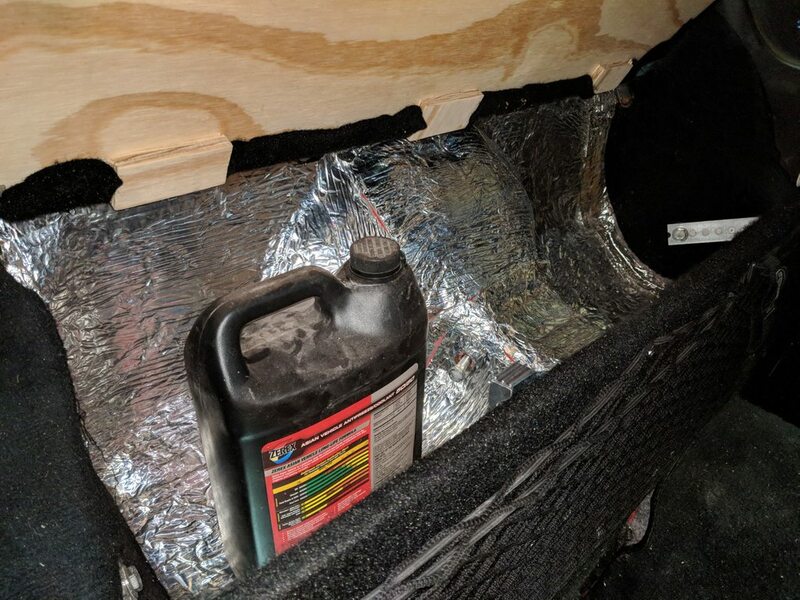 Then I padded the old seatback piece (not sure why, in retrospect, but whatever...) and got out my 3M carpet adhesive and electric staple gun and did some basic upholstery. And this is how it all came out. I added a cargo net, some tie-down eyes, and some other stuff that I figured would come in useful as well.. The seatback looks a bit lumpy here, but it should level out a bit over time I think.. 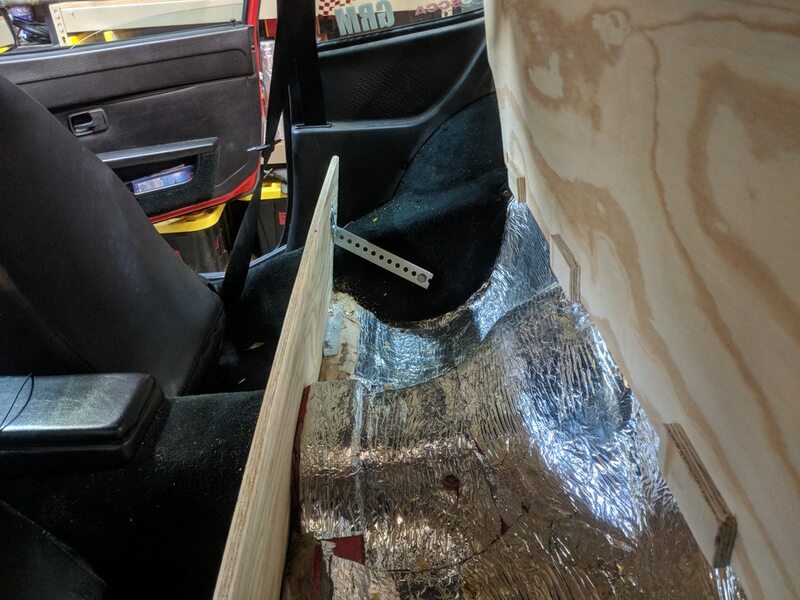 I wanted to be able to fold down the seatback in case of carrying something long, but also wanted it to be a "back brace" for stuff on the parcel shelf. 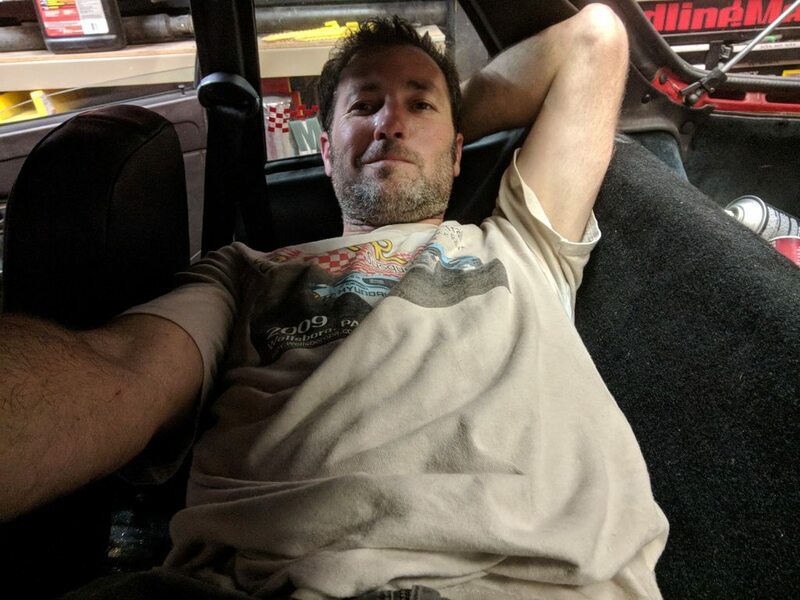 So I double-hinged the storage compartment onto the bottom of the seatback (rather than to the car itself), allowing it to slide forward and let the original seatback fold down..
Last edited by irish44j; 12-23-2018 at 12:37 PM..